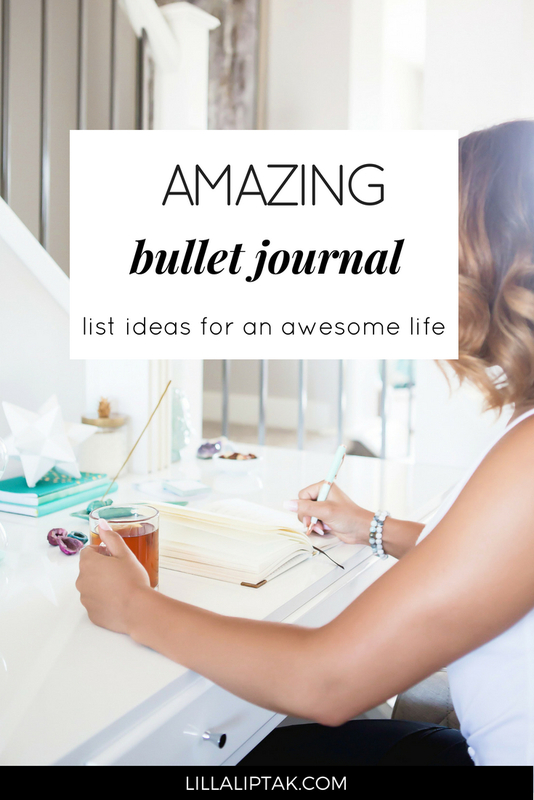 Having a bullet journal to keep all lists in one place and track what´s important is awesome! 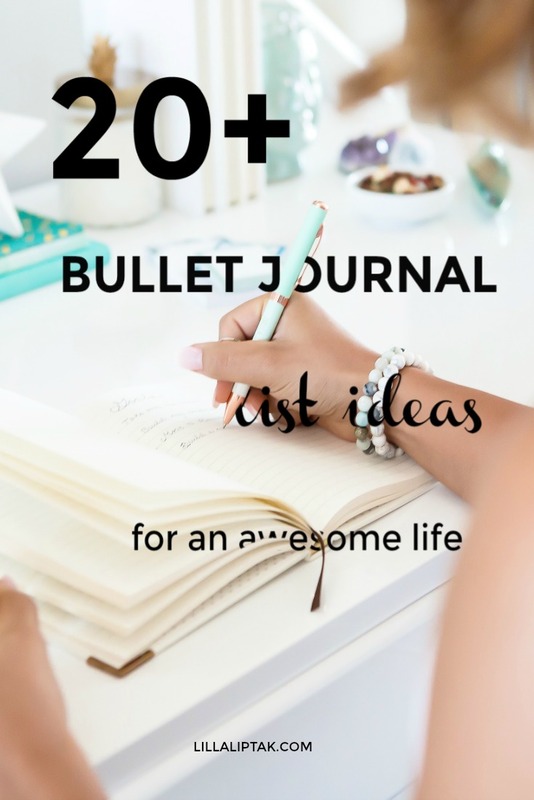 In this post, I share with you 22 bujo list ideas for a happier, healthier life! If you don´t know what a bullet journal is, I recommend to check out the post BULLET JOURNAL (what, why, how to) first. 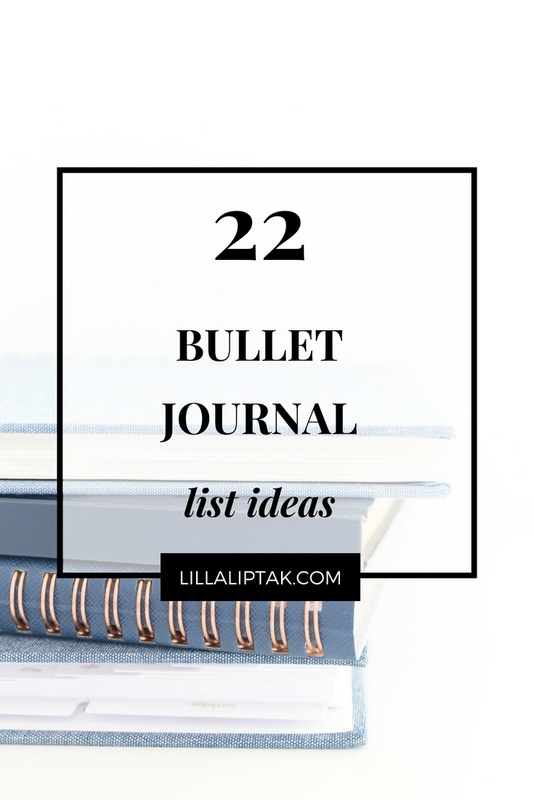 Don´t miss to check out the 29 BULLET JOURNAL LIST IDEAS and the 51 HABIT TRACKER IDEAS for your bujo as well! But now back to the list! Our bodies are mainly made of water. Our cells and organs need water to function. A lack of water can lead to fatigue & headaches. We probably all heard at some point that we should drink at least 1,5 to 2-liter water per day, but do we really always do it? You might want to include it as a reminder and consider tracking your water intake on a daily basis in your bullet journal for your health. Similar to drinking water, sleep is another essential health enhancing tool for us humans. Sleep is a crucial factor for our brains to function. It stores and organizes all the experiences we made during the day. To be fit mentally and physically the next day and ready for new experiences, our body and mind need a certain amount of sleep every night. Some people say at least 6 hours, others say it should be at least 8 hours. There are also suggestions that not the length of the sleep, but rather the quality of the sleep are more important. Other suggestions are to sleep at a certain time for optimal health benefits. (from 11 pm – 4 am, from 6 am – 9 am and from 3 pm-5 pm). I`m not a specialist in this field and don´t know which answer is correct, so for the sake of simplicity I just stick to tracking hours slept in my bujo. You might want to track it as well, especially if you are not used to going every night at the same time to bed and not waking up in the morning always at the same time. Having a healthy morning smoothie for breakfast is an awesome way to start the day. It will give you energy and a large number of the essential nutrients for the entire day. A delicious, healthy smoothie is packed with vitamins, minerals, fibers and essential nutrients. It might take a while until you are used to your new habit, especially when you are used to drinking coffee in the morning, instead of a smoothie. It will fill you up with energy & on the long run, you won´t regret it. You can simply track your smoothie days in your bujo to keep yourself going. Another awesome way for a happier and healthier life is meditating on a regular basis. It doesn´t have to be 1 hour per day, you will even benefit from 5 minutes of conscious breathing and reconnecting with your soul per day. You can track the days when you meditate in the habit tracker of your bullet journal. A few minutes exercising every day as part of your morning or evening ritual is a great way to either get your metabolism starting in the morning or to release tension and stress accumulated during the day. Regular exercising is a health and happiness tool for sure. You can track the days you exercise in your habit tracker to keep yourself motivated! Be grateful every day for what you have. 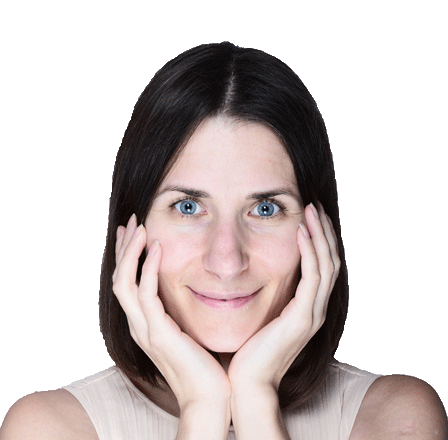 There is an awesome tool for practicing gratitude which is called the 5- minute journal. However, instead of the 5-minute journal, you can also use your bullet journal for practicing gratitude. By simply writing it down into your bullet journal what you are thankful for. Writing it down is said to be more effective as just thinking about it. It might be 1 thing per day or 3 things per day or you might even just do it on a weekly basis. The bottom line is that you practice gratitude regularly. Our brains are naturally wired towards the negative. That´s why we tend to accept critique and negative news more likely than praise and positive occurrences. Being grateful every day for something we have in our lives trains our brains to see the positive. This, in the long run, will benefit us as we are more likely to recognize the positivity in our lives and see opportunities in the future instead of failures, faults, and obstacles. If you are not living on a plant-based diet yet, implementing a vegan lunch tracker into your bujo could be a great way to consciously focus on having a plant-based food in your daily diet. It´s more about consciously choosing what you are eating rather than eating what you are used to. I as an example was for a very long time a junk food vegetarian and barely ate healthy lunch until I consciously tried to eat a purely plant-based diet with lots of fresh fruits and vegetables. I had to skip the fatty cheese and chocolate pudding for lunch. If you find yourself struggling with eating healthy regularly or want to go on a plant-based diet, a vegan lunch tracker can be a supportive starting point. If you are interested in a vegan diet but don´t know where and how to start I can highly recommend to check out the vegan starter kit with a complete guide, cheat sheets, meal plan and recipes helping you to get started. You can buy the starter kit here. Refined white sugar is nearly in each and every processed food and has no health benefits at all. It´s definitely healthier to take a bite into an apple or to eat a banana instead. There are plenty of healthier alternatives to the conventional sugar & tracking no sugar can be a great motivator to keep going and to find and try other, healthier possibilities. Going refined sugar-free is one of my personal health goals for 2018. I share some of my sweet recipes here on my blog with you, which are all refined sugar-free and pure plant-based (vegan). Alcohol has no health or happiness benefits for us. It´s a toxin for our bodies and for our minds. If you are drinking alcohol on a regular basis (let´s say on the weekends) you could track your no alcohol days. You could also combine it with a mood tracker and see how you feel before you start drinking and the next day afterward. I used to party and drink occasionally alcohol in the past & to smoke cigarettes regularly, but I never felt good afterward. That´s why I completely skipped alcohol and cigarettes a few years ago and feel much better now. Sadly coffee is very acidic and has no health benefits, at least no I know of, either. Sadly because I used to love drinking coffee. But as with a lot of other things it was more, I`m used to it that´s why I do it thing. I didn´t really need it, it was just a habit. If you are just used to it as well and don´t really need it, don´t feel any benefits from it, you might want to consider including a no coffee tracker into your bujo as well. Eating raw, ripe fruits is a great way to nurture your body with vitamins and fibers. Fresh organic fruits have a ton of health benefits. You can make a list of different fruits you could eat and track the number of fruits you are eating on a daily basis. Raw veggies have the highest amount of macronutrients and micronutrients, especially the green leafy veggies. These are essential for a healthy body. At least 5 portions of fruits and veggies per day are recommended by the WHO (world health organization). You can read their article about fruits and vegetables here. You can track the number of veggies you are eating per day in your bullet journal. You might track your B12 supplement intake when you are on a vegan diet, or your D3+K2 for example when you live in a place where you don´t see the sunshine so often. I don´t want to kid myself. I would not want to live without sweets especially not without chocolate, but there is plenty of alternatives in form of healthy refined sugar-free chocolate. When you decide not to eat refined white sugar anymore and turn towards healthy alternatives for sweets instead, you accomplish 2 goals at the same time. Not buying the unhealthy chocolate loaded with refined sugar anymore and eating either self-made sweets instead or healthier chocolate alternatives. 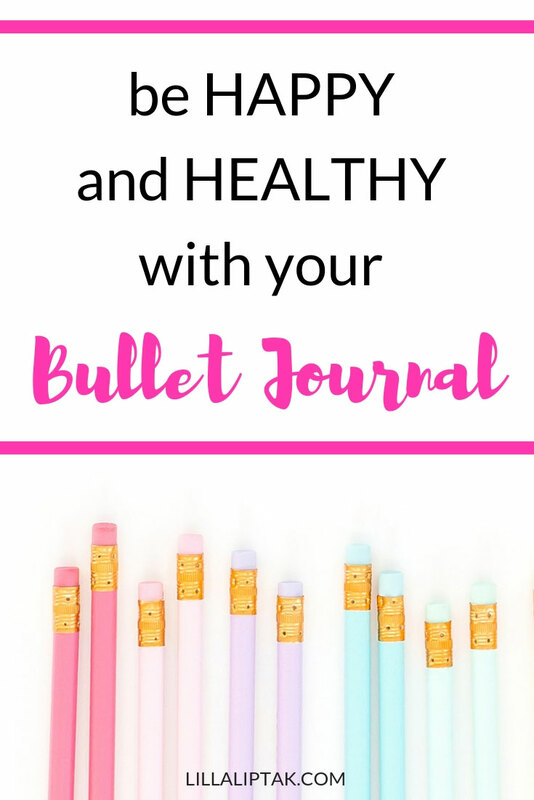 You can make a list in your bullet journal with healthy sweets alternatives. Whenever you are tempted to eat something you are used to which isn´t that healthy you can pull out the list and see what you can eat instead! Using affirmations on a daily basis has benefits for the mental health and enhances the feeling of happiness as well. It´s a great component for creating a happy, healthy life. Affirmations are basically consciously repeated positive thoughts we tell ourselves regularly. You can create a page in your bullet journal with your personal positive affirmations. If you need some inspirations, Louise Hay is/was the queen of affirmations and has tons of books related to this topic. For example 365 daily affirmations by Louise Hay. Visualizing our best possible self and our best possible future is an awesome way to start the day with. It means simply envisioning your best possible future, your dream life so to speak for a couple of minutes every day. With an open mind and an “everything is possible” attitude. You can simply think about your dream life or create a vision board and look at it and feel into it. The more you see and feel the situation as if it would be already the reality, the more powerful this exercise is. It adjusts you towards your goal day by day. All successful men and women, I know of are using the powerful tool of visualization on a regular basis. It seems to work, so why not give it a try for a month and track your visualization every day. You can also set up a page into your bullet journal with the perfect scenario of your life and can either make a page with a collage of all the things you want to have in your life or just writing it down and reading out loud every morning after waking up your dream life scenario. As you might know besides living a happy, healthy, conscious life I´m all about reaching goals and manifesting dreams. 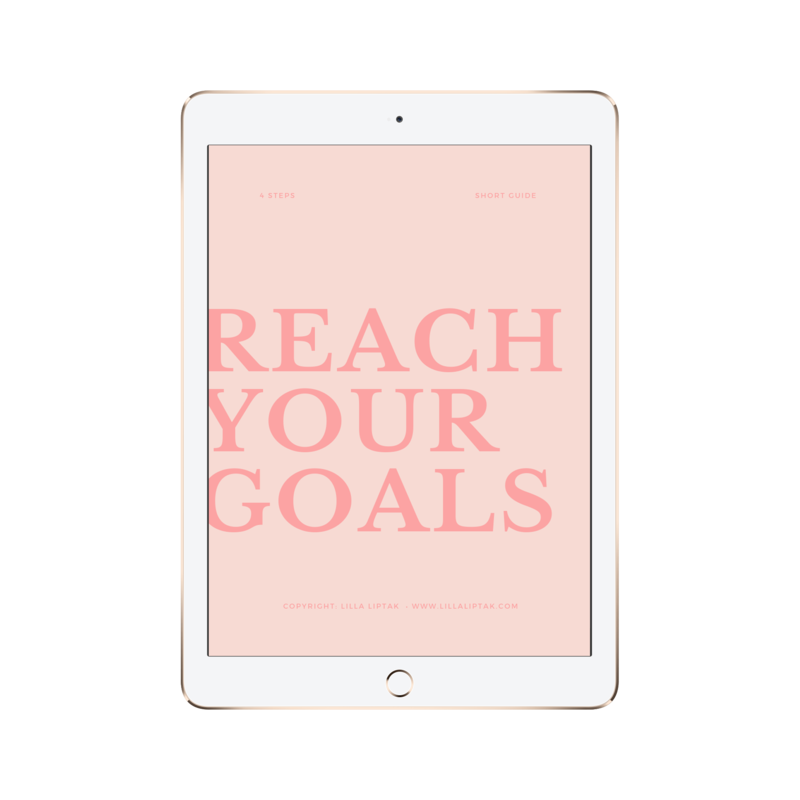 The best way to reach your goals is to split your goals into small steps and to track your goals (the little steps) on a daily basis with a habit tracker. This way you constantly move towards your goal and can´t miss to reach it! Decluttering the physical and mental space on a daily basis is crucial for making space for the important things in your life. We all have more or less stuff lying around in our house and unfinished mental clutter in our minds. The best tool for mental decluttering is in my opinion meditation. Clearing the physical space on a daily basis will have a relieving effect and will benefit your health and happiness. The less clutter we are surrounded with the less we have to take care of, clean and worry about. How to implement decluttering in your bullet journal? You get rid every day for an example of 1 thing and track it in your bullet journal. Another way might be to declutter room by room on a weekly or on a monthly basis and tick it off in your bullet journal ones you are done. It automatically sets us in the direction towards a happier, healthier life. If you are living in the midst of a huge city, as I did for some years, you might consider actively planning in time spent in a park on a daily basis and track it with your habit tracker. I used to track “30 minutes spent in nature” every day in my bullet journal. Walking barefoot especially on the surface of our earth has a positive effect on our health and even effects the quality of our sleep. 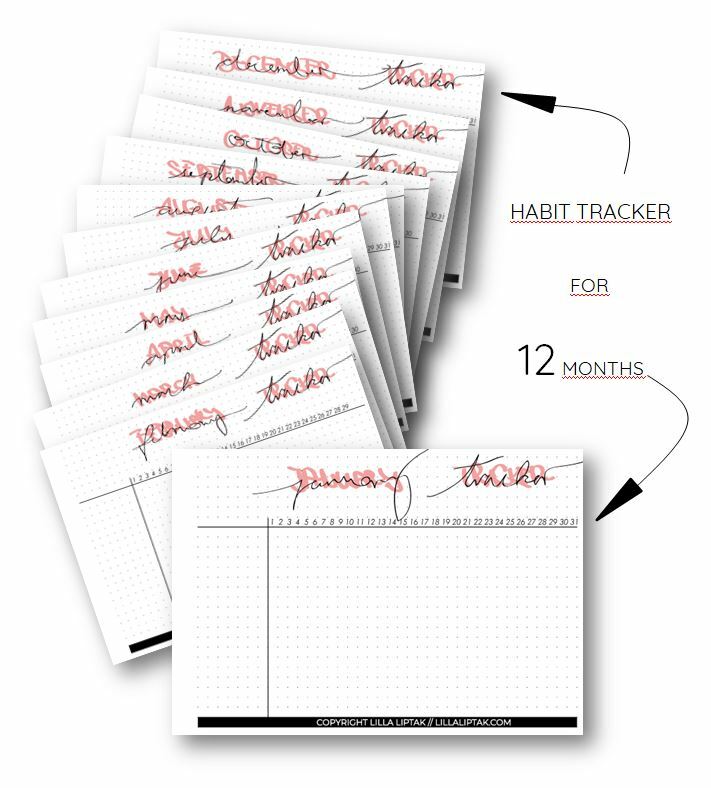 You can simply track it in your habit tracker or try out a barefoot month. If you aren´t comfortable walking around barefoot everywhere, you can walk around in your garden and at home barefoot and for outside use barefoot shoes. This is what I do as well and these are the barefoot shoes we have. They have also this variation. Sidenote: With barefoot shoes, it´s important to take a bigger size as you are used to, otherwise it will probably be too small. Consciously choosing an uplifting podcast on a daily basis will definitely affect your happiness. Don´t let yourself get down by the news, consciously choose something inspiring instead and focus your mind towards positivity & possibilities rather than lack and anxiety. You can make a list in your bullet journal with inspiring, uplifting podcasts and listen to 1 of them on a daily basis. The longest research on happiness (the Grant and the Glueck study from Harvard University) found out that a major contributor to our happiness is the quality of our relationships. It´s more about the quality than the quantity. Therefore it´s a good idea to focus on spending quality time with our loved ones on a regular basis. With the bullet journal, you can make a list and plan easily when you are going to spend quality time with whom. Did you like this post? If so don´t forget to share it with your friends on Pinterest! What are your best tools and tips to create a happier, healthier life? How are you implementing it in your bullet journal?